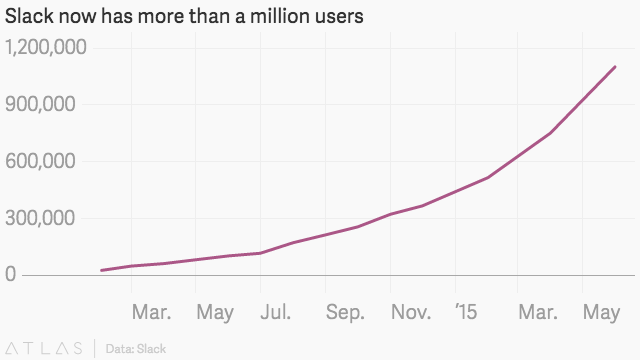 Slack is the fastest-growing corporate messaging app right now and with a valuation of whopping $2.8 billion a legit member of the elite Unicorn Club. Quartz columnist Alice Truong broke down this valuation on a per user basis and figured out that each of Slack’s users is worth $2,545. No other tech company has such a high per user valuation. 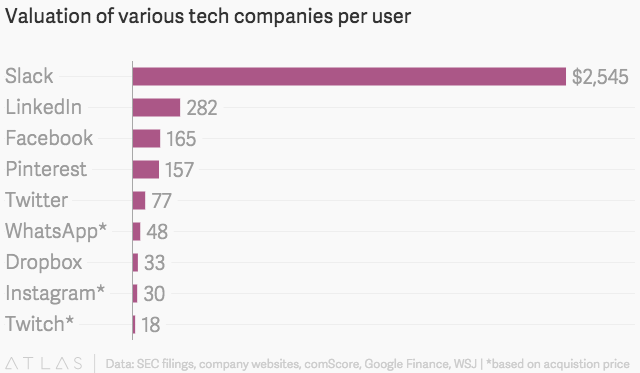 LinkedIn is the runner-up but far behind with a valuation of $282 per user. For further details click here. Based on which KPIs and assumptions could Slack's valuation be justified?